On March 8. 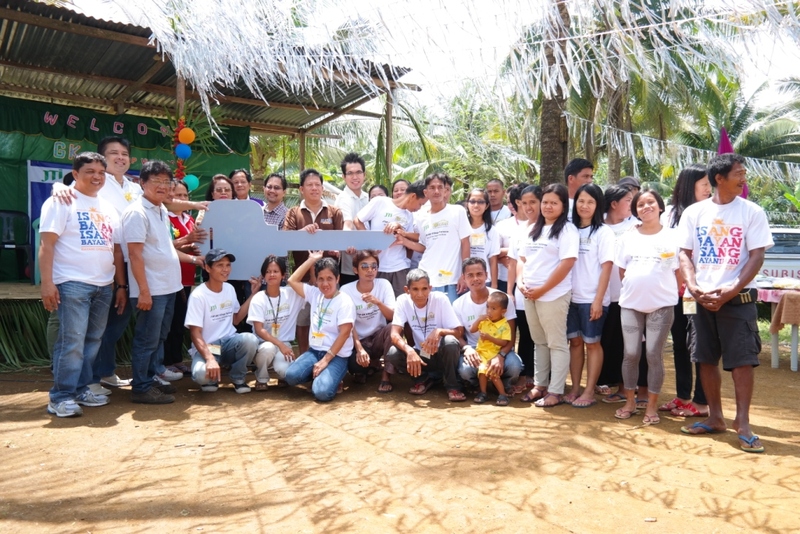 2014 JT International (Philippines) and Gawad Kalinga had a turnover ceremony of 14 units in Barangay Laniton, San Lorenzo Ruiz, Camarines Norte. JT International (Philippines) Inc. (JTIP), distributor and marketer of global cigarette brands Winston, Mild Seven, Camel and LD, has turned over the first 14 houses to the residents of Barangay Laniton, San Lorenzo Ruiz, Camarines Norte in partnership with Gawad Kalinga. The community, called GK Friendship-Laniton Village, was formed through the support of the local governments of Daet, Camarines Norte led by Mayor Tito Sarion, and Mayor Nelson delos Reyes of San Lorenzo, Camarines Norte. 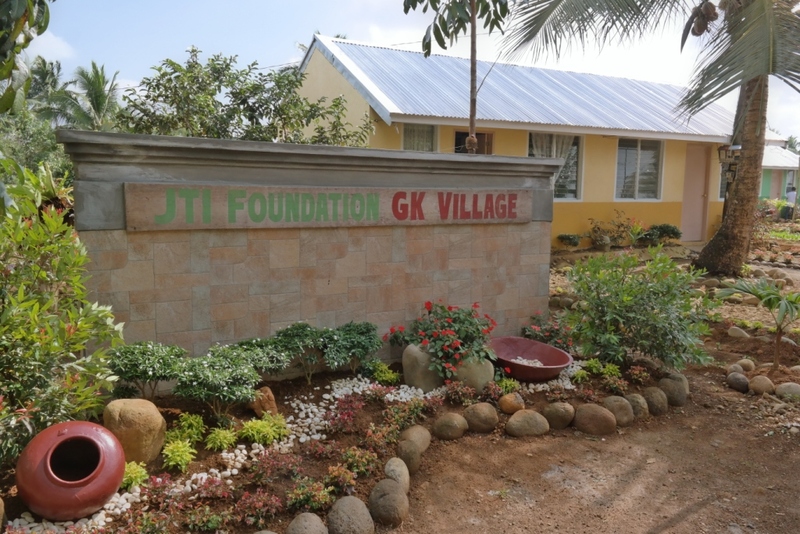 The GK Friendship-Laniton Village of 20 houses will be completed for the remaining 6 families this summer of 2014, as they are currently in the process of finishing the values formation program. This is only the first batch of the 20 families that will be given new homes. In addition to JTIP, the provincial and local governments also pledged a total of 20 more homes. 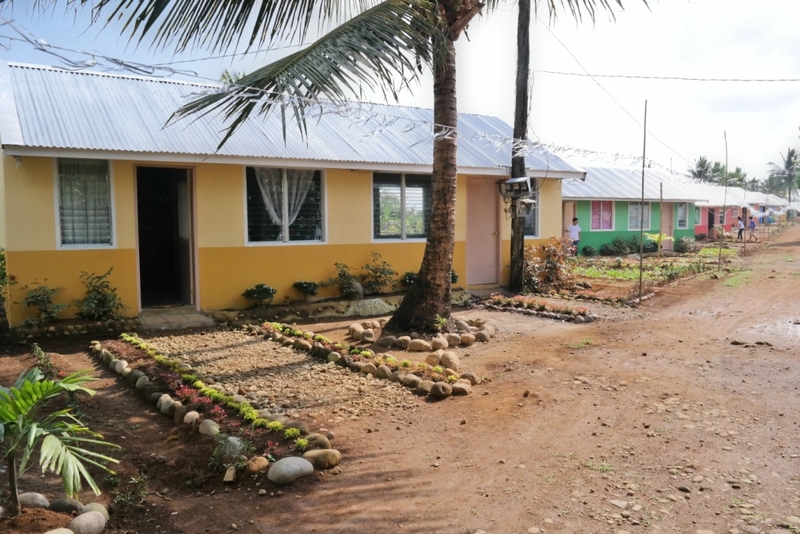 The building of these homes began with the help of volunteers during Bayani Challenge 2013, where volunteers did various socio-civic projects including house building, education sessions for children, and many others. The beneficiaries are poorest of the poor in Brgy. Laniton and other barangays in San Lorenzo Ruiz. A week before the turnover ceremony, that GK beneficiaries had already conducted the election of GK Kapitbahayan Officers (Homeowner Association Officers). The turnover ceremony was partly prepared by the families of the community who decorated a beautiful stage and cooked meals for all the attendees. The SIGA (youth) from GK Bibirao performed the Unity Dance. We also got a special visit from Jollibee who joined the GK Unity Dance. Being that Camarines Norte is known for its pineapples, the GK Friendship Village with its 9 hectares of fertile soil, mainly consists of pineapple crops. During last year’s Bayani Challege, 10.000 pineapple suckers were planted by volunteers, and this is now an important livelihood for the community. Mr. Alberto Chavez who donated the land to the Municipality of Daet, has agreed with the Mayor of San Lorenzo Ruiz that the next Bayani Challenge will be in San Lorenzo Ruiz. Close to five months after Typhoon Yolanda devastated Visayas, Gawad Kalinga is now in the reconstruction phase of Operation Walang Iwanan, rebuilding the homes of survivors. In parallel, the work of proactive reconstruction is still ongoing in other parts of the Philippines. Like JTIP, you too can help relocate families from danger zones to safe and secure communities even BEFORE the disasters strike. Click HERE to find out how you can help. You can also help GK in the relief, rehabilitation and reconstruction of Yolanda-affected areas. This coming summer, join 1 MILLION VOLUNTEERS in rebuilding Aklan, Antique, Bohol, Capiz, Cebu, Eastern Samar, Iloilo, Leyte, Negros Occidental, Palawan, Samar, and Zamboanga. Read about the Bayani Challenge 2014 HERE.